Dave Kazoora JR was yesterday committed to Luzira Prison, where he could spend six months if he fails to clear an outstanding loan of over 50million due to United Bank of Africa. Kazoora was arrested on Monday at Lugogo by-pass in Kampala by Tuskem Associates bailiffs who have been trailing him for the past one year. It's said that in 2015, he borrowed 53Million from the said bank, but defaulted. Deputy registrar in-charge of the Execution Division of the High Court, Deo Nzeyimana signed the committal warrant sending Kazoora to civil prison, he also ordered United Bank of Africa (UBA) to pay Shs3,000 daily to cater for Kazoora’s meals. 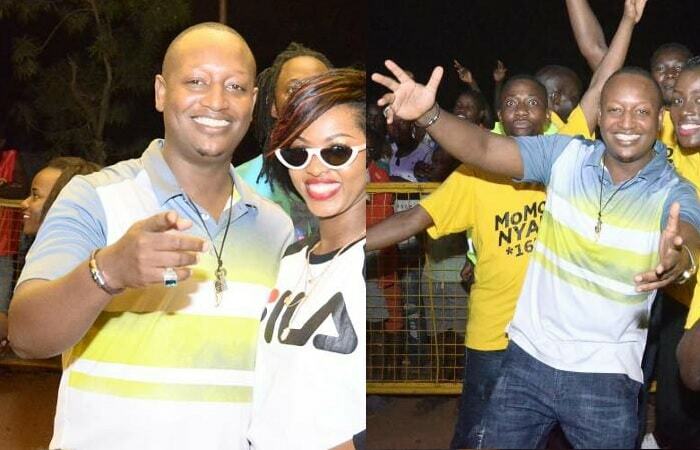 In 2014, David Kazoora was dragged to court in Rwanda as prosecution accused him of diverting an advertising project from Buddies Production (R) Limited, where he was co-owner, to his new firm, Buddies Tv Ltd fleecing his partner of lots of money in the process. This is coming days after Kazoora and Spark TV's Zahara Totto were announced as the lead promoters of the MTN Momo Nyabo promotion. 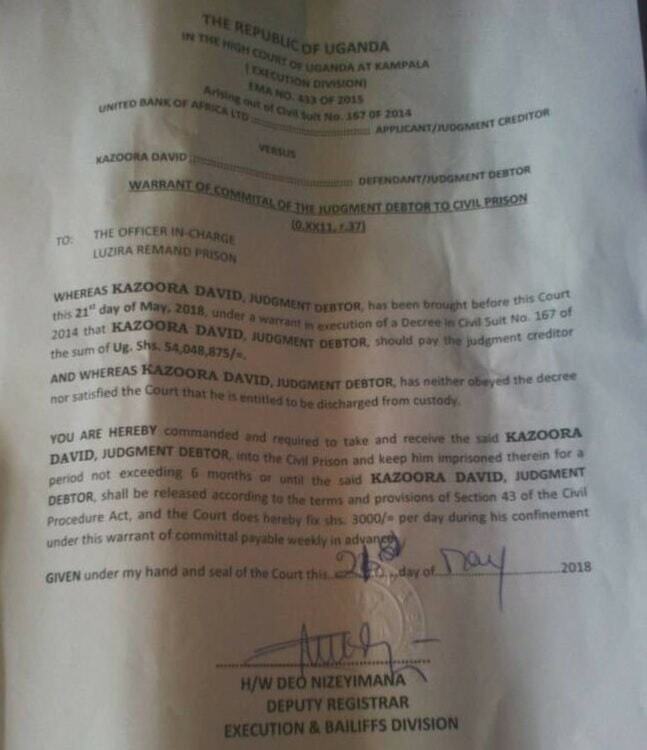 Kazoora's warrant of commital of the judgement debtor to civil prison signed by the Deputy Registrat, Deo Nizeyimana.